Photos From The 84th Academy Awards Ceremony Photos from the 84th Annual Academy Awards ceremony. Director Michel Hazanavicius (from left), who won Best Director for the black-and-white silent film "The Artist," poses with stars of the film Berenice Bejo and Jean Dujardin, who won Best Actor. 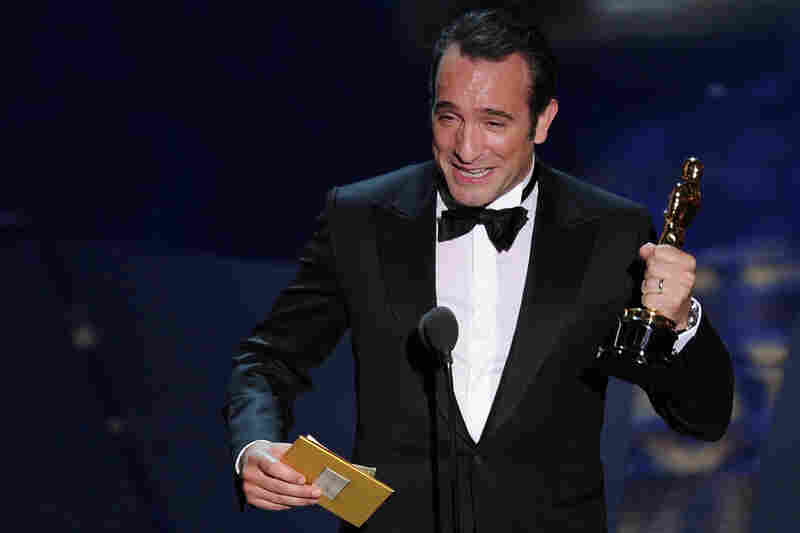 Jean Dujardin's Oscar for Best Actor was one of five for "The Artist." 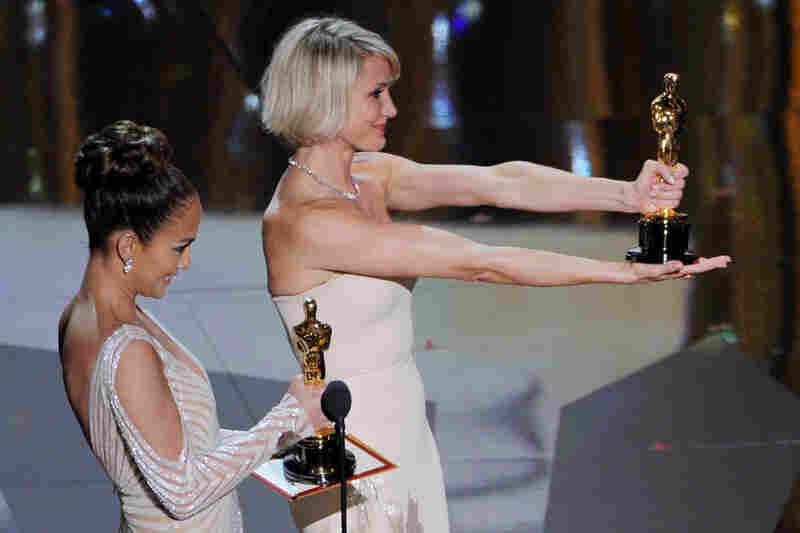 It also won Best Picture, Best Director, Best Original Score and Best Costume Design. Meryl Streep's portrayal of Margaret Thatcher in "The Iron Lady" earned her the Oscar for Best Actress. It was Streep's third win and her 17th nomination. 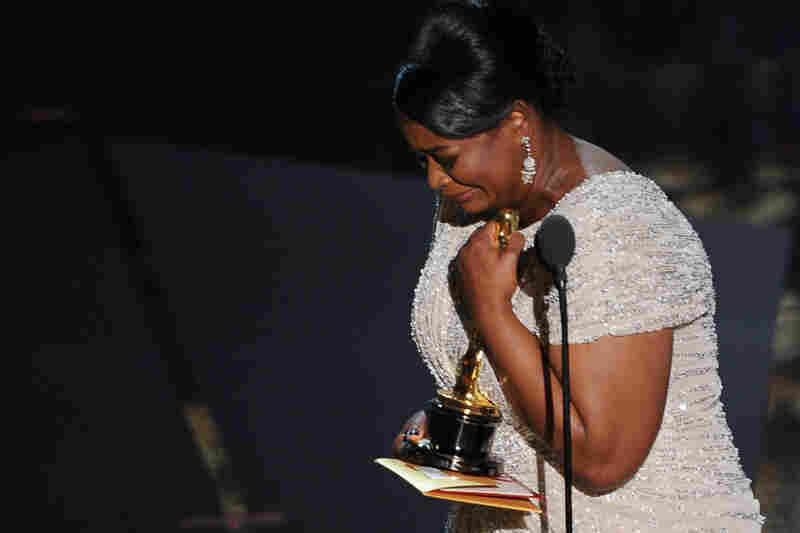 Octavia Spencer tearfully accepts the award for Best Supporting Actress for her portrayal of Minny Jackson, a housemaid in 1960s Mississippi, in the film adaptation of Kathryn Stockett's "The Help". 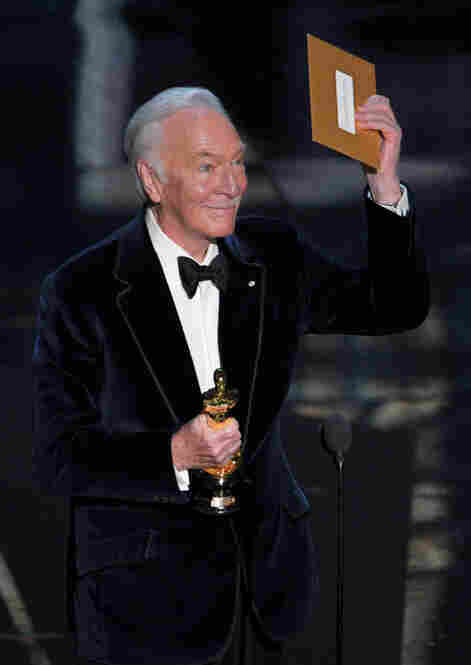 Best Supporting Actor Christopher Plummer, 82, became the oldest Academy Award winner in an acting category in the awards' 84th year. He plays an elderly widower who comes out of the closet in "Beginners." 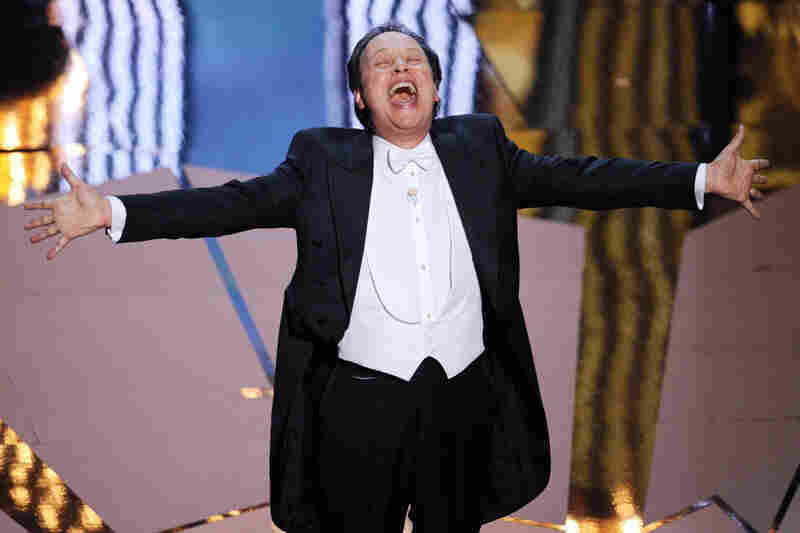 Comedian Billy Crystal opened the 84th Annual Academy Awards with a musical medley introducing the Best Picture nominees. It was Crystal's ninth time hosting the Oscars. 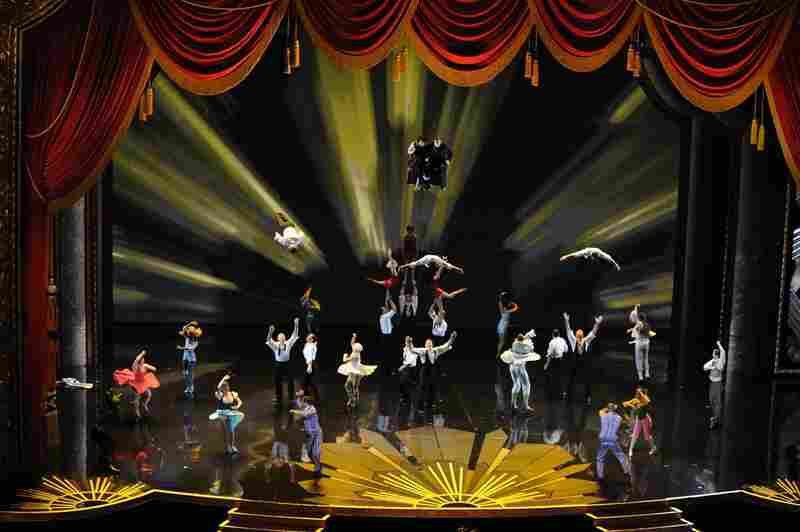 In an airborne homage to movie-making, Cirque du Soleil performers flew and flipped for the audience assembled at the Hollywood & Highland Center. 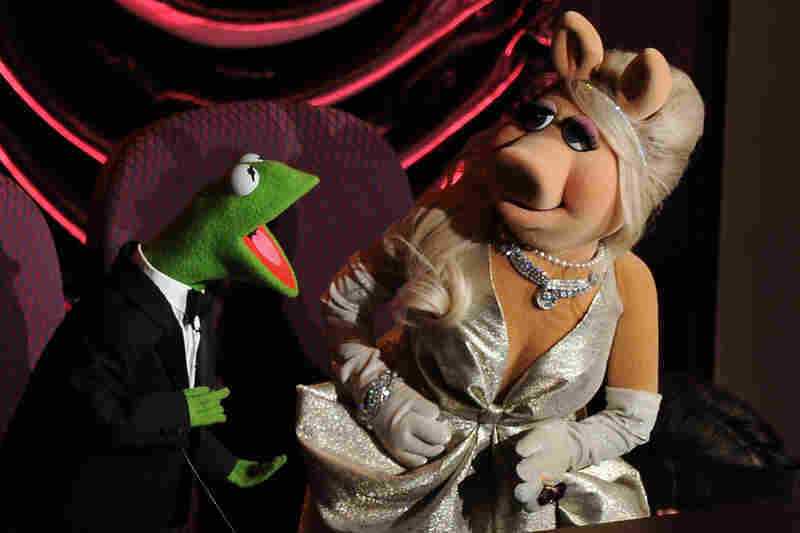 Beloved "Muppets" stars Kermit the Frog and Miss Piggy banter during the awards ceremony. "Man or Muppet" won Bret McKenzie the Oscar for Best Original Song.